My heart is full from day one of the challenge today. We've had several readers, a library, a bookstore, and various women authors joining us already, and I can't wait to see what all gets posted this month! 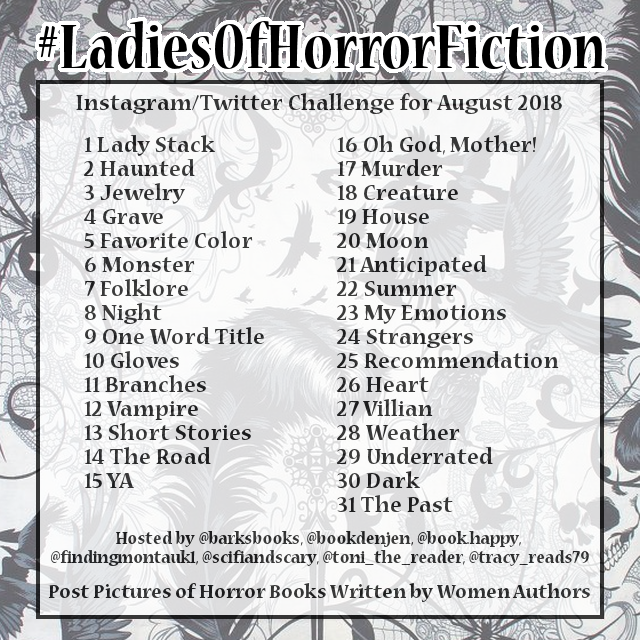 If you'd like to join in, be sure to use the #LadiesofHorrorFiction hashtag on your posts so we can see and share them. 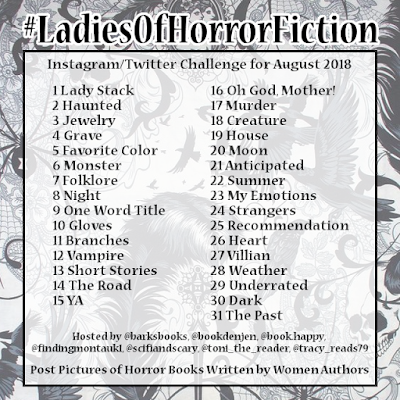 Every Instagram photo posted and tagged with the #ladiesofhorrorfiction hashtag will be entered to win a book from Book Depository. Let me know if you'll be able to hop in this month! How fun! Glad this is off to a good start! Thanks! It has been a lot of fun so far. I'm not on Instagram, sorry! Good luck anyway! This is great - I'll go and look on Twitter and do some r'twing. I'm not on Instagram unfortunately. This is awesome. Mostly, it seems, just men write horror so I’ll be interested to learn about all these ladies. It is a male dominated genre, but there are amazing women writers, too. I hope to keep putting the spotlight on them. I love that so many are participating but I am going to be so broke by the end of it!! I know! I was thinking yesterday I need to come up with a ladies budget!